Sensitive visualization of recurrent prostate cancer foci is a challenge in patients with early biochemical recurrence (EBR). The recently established 68Ga-PSMA-11 PET/CT has significantly improved the detection rate with published values of up to 55% for patients with a serum PSA concentration between 0.2–0.5 ng/mL. The increased soft tissue contrast in the pelvis using simultaneous 68Ga-PSMA-11 PET/MRI might further improve the detection rate in patients with EBR and low PSA values over PET/CT. We retrospectively analyzed a cohort of 56 consecutive patients who underwent a 68Ga-PSMA-11 PET/MRI for biochemical recurrence in our institution between April and December 2016 with three readers. Median PSA level was 0.99 ng/mL (interquartile range: 3.1 ng/mL). Detection of PSMA-positive lesions within the prostate fossa, local and distant lymph nodes, bones, or visceral organs was recorded. Agreement among observers was evaluated with Fleiss’s kappa (k). Overall, in 44 of 56 patients (78.6%) PSMA-positive lesions were detected. In four of nine patients (44.4%) with a PSA < 0.2 ng/mL, suspicious lesions were detected (two pelvic and one paraaortic lymph nodes, and two bone metastases). In eight of 11 patients (72.7%) with a PSA between 0.2 and < 0.5 ng/mL, suspicious lesions were detected (two local recurrences, six lymph nodes, and one bone metastasis). Five out of 20 patients with a PSA < 0.5 ng/mL had extrapelvic disease. In 12 of 15 patients (80.0%) with a PSA between 0.5 and < 2.0 ng/mL, suspicious lesions were detected (four local recurrences, nine lymph nodes, and four bone metastases). In 20 of 21 patients (95.2%) with a PSA >2.0 ng/mL, suspicious lesions were detected. The overall interreader agreement for cancer detection was excellent (κ = 0.796, CI 0.645–0.947). Our data show that 68Ga-PSMA-11 PET/MRI has a high detection rate for recurrent prostate cancer even at very low PSA levels <0.5 ng/mL. Furthermore, even at those low levels extrapelvic disease can be localized in 25% of the cases and local recurrence alone is seen only in 10%. The online version of this article ( https://doi.org/10.1007/s00259-017-3850-x) contains supplementary material, which is available to authorized users. The authors acknowledge Ms. Sarah Kedzia for the excellent organization of the patient database, and the technicians Marlena Hofbauer, Miguel Porto, Sofia Kaltsuni, Tobias Oblasser and Sabrina Epp for the excellent work on high quality PET/MRI. 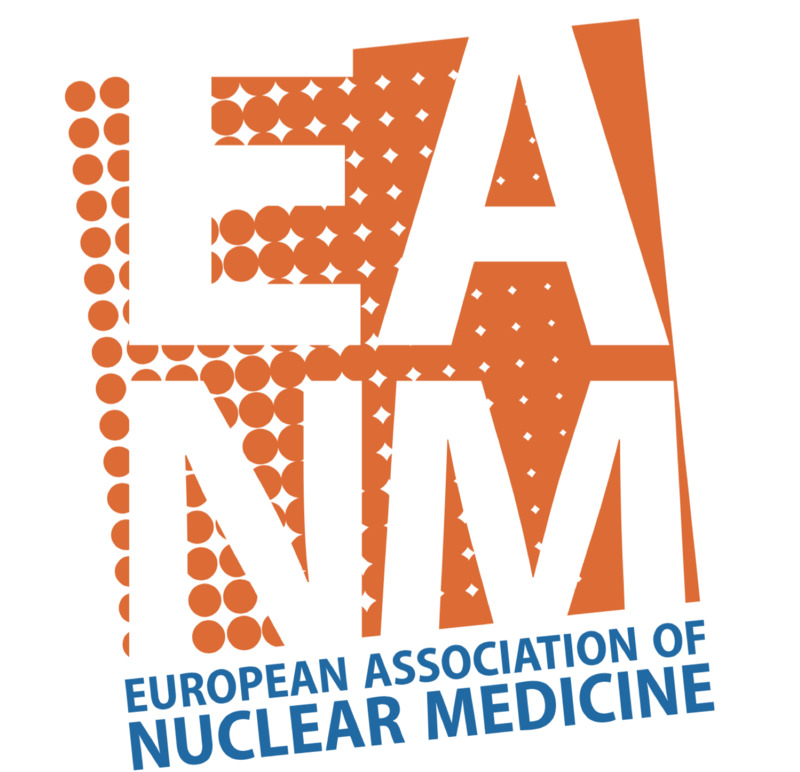 The Department of Nuclear Medicine holds an institutional Research Contract with GE Healthcare. The authors declare that no competing financial interests exist. This retrospective study was approved by the local ethics committee (BASEC Nr. 2016–02230). All patients gave a written informed general consent for retrospective analysis of their data. Authors IAB, MH and PAK have received research grants and speaker honorarium from GE Healthcare. Author IAB received research grants from Swiss Life and speaker honorarium from Bayer Health Care and Astellas Pharma AG. Author MG has received research grants from Varian. Authors BK, JM, ASB, PS, DE, HN, UM declare no conflict of interest. Mottet N, Bellmunt J, Bolla M, Briers E, Cumberbatch MG, De Santis M, et al. EAU-ESTRO-SIOG guidelines on prostate cancer. Part 1: screening, diagnosis, and local treatment with curative intent. Eur Urol. 2016; https://doi.org/10.1016/j.eururo.2016.08.003. Cornford P, Bellmunt J, Bolla M, Briers E, De Santis M, Gross T, et al. EAU-ESTRO-SIOG guidelines on prostate cancer. Part II: treatment of relapsing, metastatic, and castration-resistant prostate cancer. Eur Urol. 2016; https://doi.org/10.1016/j.eururo.2016.08.002. Tendulkar RD, Agrawal S, Gao T, Efstathiou JA, Pisansky TM, Michalski JM, et al. Contemporary update of a multi-institutional predictive Nomogram for salvage radiotherapy after radical prostatectomy. J Clin Oncol. 2016; https://doi.org/10.1200/JCO.2016.67.9647. Stish BJ, Pisansky TM, Harmsen WS, Davis BJ, Tzou KS, Choo R, et al. Improved metastasis-free and survival outcomes with early salvage radiotherapy in men with detectable prostate-specific antigen after prostatectomy for prostate cancer. J Clin Oncol. 2016; https://doi.org/10.1200/JCO.2016.68.3425. Robertson NL, Sala E, Benz M, Landa J, Scardino P, Scher HI, et al. Combined whole-body and multi-parametric prostate MRI as a single-step approach for the simultaneous assessment of local recurrence and metastatic disease after radical prostatectomy. J Urol. 2017; https://doi.org/10.1016/j.juro.2017.02.071. Einspieler I, Rauscher I, Duwel C, Kronke M, Rischpler C, Habl G, et al. Detection efficacy of hybrid 68Ga-PSMA ligand PET/CT in prostate cancer patients with biochemical recurrence after primary radiation therapy defined by phoenix criteria. J Nucl Med. 2017; https://doi.org/10.2967/jnumed.116.184457. Freitag MT, Radtke JP, Afshar-Oromieh A, Roethke MC, Hadaschik BA, Gleave M, et al. Local recurrence of prostate cancer after radical prostatectomy is at risk to be missed in 68Ga-PSMA-11-PET of PET/CT and PET/MRI: comparison with mpMRI integrated in simultaneous PET/MRI. Eur J Nucl Med Mol Imaging. 2016; https://doi.org/10.1007/s00259-016-3594-z. Eiber M, Weirich G, Holzapfel K, Souvatzoglou M, Haller B, Rauscher I, et al. Simultaneous 68Ga-PSMA HBED-CC PET/MRI improves the localization of primary prostate cancer. Eur Urol. 2016; https://doi.org/10.1016/j.eururo.2015.12.053. Ter Voert EE, Veit-Haibach P, Ahn S, Wiesinger F, Khalighi MM, Levin CS, et al. Clinical evaluation of TOF versus non-TOF on PET artifacts in simultaneous PET/MR: a dual centre experience. Eur J Nucl Med Mol Imaging. 2017; https://doi.org/10.1007/s00259-017-3619-2. Svirydenka H, Delso G, Barbosa FG, Huellner MW, Davison H, Fanti S, et al. The effect of susceptibility artifacts related to metal implants on adjacent lesion assessment in simultaneous TOF PET/MR. J Nucl Med. 2017; https://doi.org/10.2967/jnumed.116.180802. Fendler WP, Calais J, Allen-Auerbach M, Bluemel C, Eberhardt N, Emmett L, et al. 68Ga-PSMA-11 PET/CT interobserver agreement for prostate cancer assessments: an international multicenter prospective study. J Nucl Med. 2017; https://doi.org/10.2967/jnumed.117.190827. Schiller K, Sauter K, Dewes S, Eiber M, Maurer T, Gschwend J, et al. Patterns of failure after radical prostatectomy in prostate cancer - implications for radiation therapy planning after 68Ga-PSMA-PET imaging. Eur J Nucl Med Mol Imaging. 2017; https://doi.org/10.1007/s00259-017-3746-9. Kabasakal L, Demirci E, Nematyazar J, Akyel R, Razavi B, Ocak M, et al. 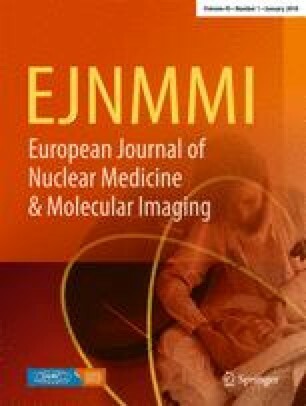 The role of PSMA PET/CT imaging in restaging of prostate cancer patients with low prostate-specific antigen levels. Nucl Med Commun. 2016; https://doi.org/10.1097/MNM.0000000000000617. Afshar-Oromieh A, Wolf M, Haberkorn U, Kachelriess M, Gnirs R, Kopka K, et al. Effects of arm truncation on the appearance of the halo artifact in 68Ga-PSMA-11 (HBED-CC) PET/MRI. Eur J Nucl Med Mol Imaging. 2017; https://doi.org/10.1007/s00259-017-3718-0.